Submissions for American Blues Theater’s 2018 award are now closed. Submissions will be accepted July 1, 2017 through August 31, 2017 @ 11:59pm. The winning play will be selected by Producing Artistic Director Gwendolyn Whiteside and the Ensemble. The playwright receives a monetary prize of $1,000 and a developmental workshop or staged reading at American Blues Theater in Chicago. Cash prizes are awarded for finalists, and semi-finalists too. Please follow these guidelines in preparing your manuscript. 2. Submissions must be original, unpublished full-length plays written in English. Adaptations are accepted with proof of rights held unless source text is in public domain. Translations, musicals, and children’s plays are not accepted. 3. Playwrights may submit only one (1) manuscript per year. 4. Plays that have been professionally produced or published are not eligible. Plays that have had a workshop, reading, or non-professional production will be considered. 6. American Blues Theater reserves the Right-of-First-Refusal to produce the world premiere of the winning manuscript for one (1) year beginning on date of the public announcement in January 2018. 7. 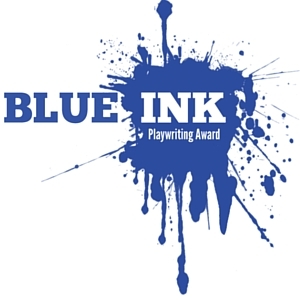 Plays must be sent as a Microsoft Word document or PDF file to BlueInk@AmericanBluesTheater.com. 8. Send the $5 administrative fee to: American Blues Theater, 4809 N Ravenswood Ave, Suite 221, Chicago, IL 60640 or pay online. 9. Include your contact information (including address, phone number, and email address) and a brief biography. American Blues Theater reserves the right to reject any manuscript for any reason. American Blues Theater reserves the right to not choose a winner for any given year of the competition and reserves the right to determine the ineligibility of a winner, in keeping with the spirit of the competition, and based upon the accomplishments of the author.